Can you believe we're already in the middle of NYFW? Time flies when you're (running around like a crazy person) having fun! You won’t need to be on the guest list during New York Fashion Week to find a front row seat to taste runway-inspired cocktails at some of the city’s most stylish restaurants. 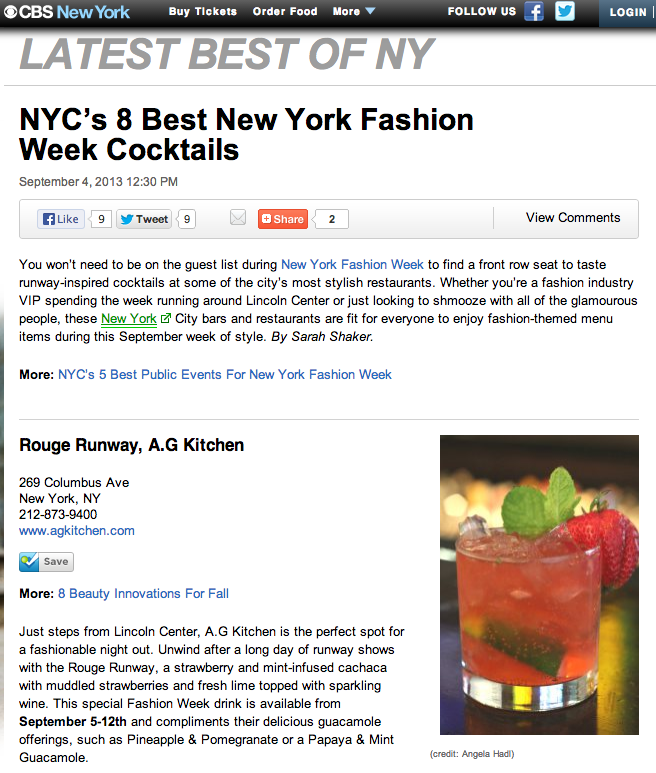 Whether you’re a fashion industry VIP spending the week buzzing around Lincoln Center or just looking to shmooze with all of the glamourous people, these New York City bars and restaurants are fit for everyone to enjoy fashion-themed menu items during this September week of style.